Dr. Duane B. Gustafson attended Brigham Young University (BYU) in Provo, Utah for his undergraduate studies. During his collegiate years, he pitched for the BYU baseball team and appeared in the College World Series. His talent and skills led him to play professionally for the San Francisco Giants organization for one season. However, he previously decided to pursue a long-term career that would take advantage of his excellent hand skills, experience in teamwork and collaboration, and an innate ability to communicate and connect with others. Dentistry was a natural fit. He continued his studies and earned the degree of Doctor of Dental Medicine at the University Of Oregon School Of Dentistry. Upon graduation, he served in the United States Army as a commissioned dental officer and completed a 14-month fellowship in endodontics at the Letterman Army Medical Center while stationed in San Francisco. Afterward, he moved down the peninsula and started a practice limited to endodontics. 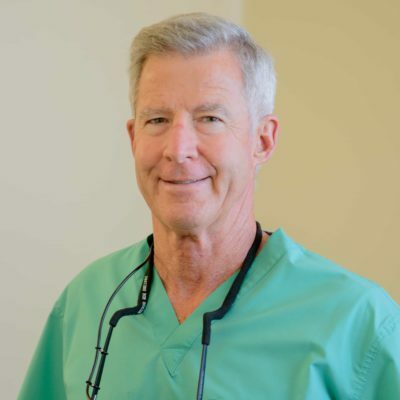 Dr. Gustafson has been providing endodontic care in Redwood City for over 30 years. He has built a reputation for delivering excellent service and improving the root canal treatment experience for patients. He finds profound satisfaction in his work and has helped tens of thousands of patients keep their natural teeth and live pain-free. Also, he continues to improve his skills and has participated in the Endo Mastery Study Group for the past 12 years. Today, he enjoys serving patients in his practice more than ever, largely attributed to his highly trained support team, incredible referring dentists, and wonderfully diverse patients. He is a member of the American Association of Endodontists, American Dental Association, and the California Dental Association. Away from the practice, Dr. Gustafson devotes his time to his wife, family, and church. He enjoys skiing, biking, hiking, working out at the gym, and photography. Original photos by Dr. Gustafson decorate the walls of the office.